Just bought a used copy from Barnes and Noble in the US for the princely sum of $1.99. Felt very very pleased with myself... until the shipping fee of $19.99 came up!! Still, cheaper than paying $20 for the book and another $20 to ship it. Couldn't find it anywhere in the UK. My $1.99 copy from Barnes & Noble (+$20 postage) just arrived. It's a hardback, and is in immaculate condition. Took about 10 days to get here from date of order. 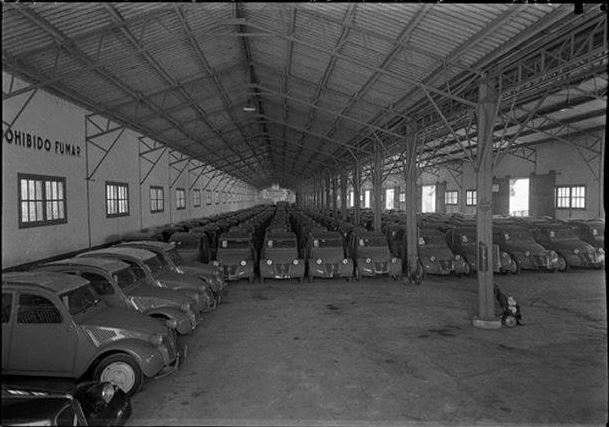 2cv factory spain look also the michelin compressor against the pylon.